I for one, welcome our new particle rendered overlords. So If you haven’t seen it yet Crunchyroll News was able to get an interview with the people who created Hatsune Miku, the greatest singer ever. You can check that out here http://www.crunchyroll.com/anime-news/2011/07/21/crn-interview-the-creators-of-hatsune-miku. Also as a side note, I would like to get my first impression of Itsuka Tenma no Kuro Usagi out later today. So it appears as though Minister Norbert Rottgen has today announced that Germany pledges to end all nuclear power by 2022, because of everyone’s favorite nuclear reactor plant Fukushima. “The seven oldest reactors that have been placed under a moratorium and the Kruemmel nuclear power plant won’t go back online,” Roettgen said early today after the meeting at the Chancellery. “A second group of six nuclear power plants will go offline at the end of 2021 at the latest and the three most modern power plants will go offline 2022 at the latest.” It seems that they are going to try and replace the energy they would normally be getting from reactors with solar and wind power. Now I would like to say that I have no idea if any of this is true or not, but a while back on Gizmodo I found a commenter by the name of Dream The Endless that was talking about how much better thorium nuclear reactors would be. He asked the Giz staff to post an article on the subject and wanted to know if he wrote one, would the publish it. I asked him if I could publish it on my site. I got no answer. I take that as a yes! But I thought it was so good I bookmarked it and saved it in case I might want to post it, so all credit to him for the following article. The guy who came up with the design (in the fifties) of the uranium reactors that we are basically still using today designed it for submarines. Then they took his plans and decided to scale them up and do power generation for homes. He insisted that it wouldn’t be a safe design used for that purpose and he invented the molten salt thorium reactor instead. He was eventually fired after insisting that you could have catastrophic failures if something went wrong at a uranium plant they way they were doing it. They were actually running a small scale molten salt thorium reactor in the US for decades to prove that it could be done. It was so safe that the techs working on it would just shut it down every Friday so that they didn’t have to work the weekend. * The electric fan cools off the metal pipe and causes the molten sodium fluoride salt inside to harden into a plug of solid salt. * If you turn off the power switch to that fan or if some outside calamity causes it to lose power – it stops cooling the pipe; the salt plug inside the pipe melts; all of the reactor fuel safely drains out of the reactor and into the holding tank. This safety procedure worked so well that this is the method the techs used every Friday so that they didn’t have to work over the weekend; they simply shut off that fan. Then, on Monday, they’d switch on the heater to warm up the holding tank and pump the molten salt back into the reactor. You could not possibly have a reactor meltdown. So apparently Chell … Sorry Shell (to much Portal 2 on the brain) has decided to make an mechanical island. I am somewhat kidding. Shell is planning on building a natural gas refinery off the cost of Australia, that they say will be the largest floating object the world has ever seen. The Prelude FLNG said to be completed in 2017 will be about twice the size of the Titanic and the largest thing ever that has not sunk (hopefully). The ship will require some 600,000 tons of steel to build, and the ability to withstand category 5 cyclones. No word on the survivability against Icebergs though. 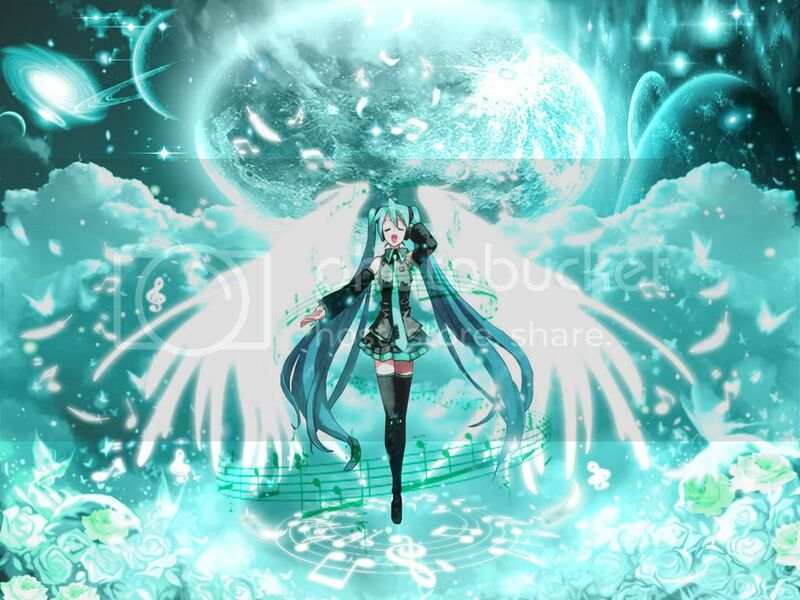 So if I do get to go to the Anime Expo in California something for sure I want to attend is the Miku Hatsune concert!!!!! …. what? …. Shes just a program?….. I shouldn’t get so excited? SHUT UP! For those of you who don’t know who Miku is, I would probably be better off explaining the back story of a certain program called Vocaloid. The program originally released in Japan in 2004 by Yahama, the musical voice synthesizer enables users to synthesize singing by typing in lyrics and melody. It didn’t get really popular until 3 years later, when Yahama released Vocaloid 2. 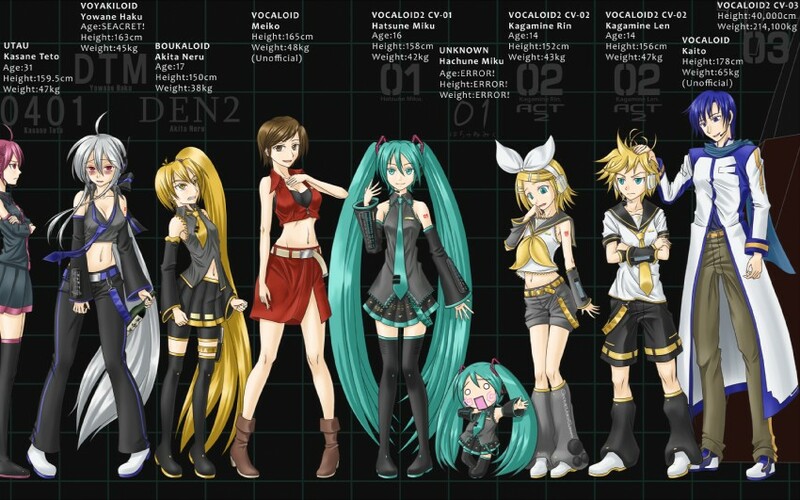 With the release of Vocaloid 2, the program was given a makeover with the Character Vocal Series released by Crypton, featuring an anime-style character named Hatsune Miku as the mascot for the software. Since then Hatsune Miku has become an internet sensation, growing something of a cult following. 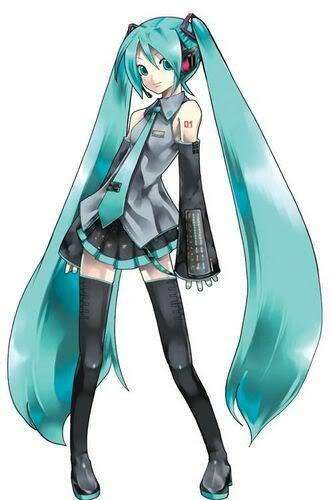 She remains to this day the most popular Vocaloid outshining the others. So your probably asking yourself right now, “UO, how is a program going to have a live concert?” WITH HOLOGRAMS OF COURSE! Anyone else getting Déjà vu from that old Disney movie Pixel Perfect? Don’t believe me, check out old concerts in Japan of Vocaloid’s Pixelated Perfection. I would like to point out that video has some of the highest thumbed up comments I’ve ever seen on a YouTube video the top on having 12,494 thumbs up. Anyway all the songs that will be sung will all have been made using only Vocaloid as far as I can tell. I really hope I get to attend. UPDATE: Never mind about the comments, apparently they disabled adding comments overnight. Did it have something to do with my post I wonder? SO Kadokawa has announced that they will be selling 4GB Memory Stick PRO Duos with images from The Surprise of Haruhi Suzumiya (The new manga volume coming out on the 25th this month) and Steins;Gate on the cover. The memory cards will be coming out on June 23rd at the cost of 3980 yen a little more than twice the cost of a normal 4g Memory Stick PRO Duo. Now to my understanding the Haruhi card has pictures of the new volume on it, correct? So why not release them before the new volume comes out May 25th? If I don’t have my information straight someone please tell me, but currently thats what it looks like. So according to AllThingsD Google will be releasing it’s new music service beta (invite only) that lets you buy music online and stream it to a phone or a tablet. It is just me or is Google trying to monopolize everything that has ever existed? I swear the first Inter-Galactic Star Ship will be called “Google Space”. 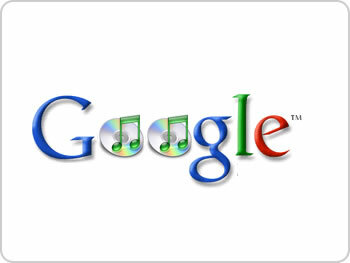 Back on topic Google wanted a better library before they released, but due to issues with various recording company’s Google is only going to start out with a small collection of music compared to Amazon’s library. What their not slacking on, is the free online storage, with enough space to hold 20,000 songs ( Amazon only lets you hold 2,000 songs for free then they add another 20 gigs for a price). But lets no forget Apple in all of this, because they are planning to launch a similar cloud-based music locker service, and have already got contracts from 2 of the 4 big record company’s ( either Universal Music Group, Warner Music Group, Sony or EMI ). Have you ever seen the alien/si-fi movies were you ask a computer about something and it instantly pulls up a video report complete with pictures, videos, and a voice to read it to you? Like that scene in Wall-E for example when the captain guy is asking his computer about earth. Well straight from a George Lucas film comes Qwiki, a free online program that can create a report on anything using pictures videos and a voice to read everything. It uses a program to quickly scan the Internet for the best pictures about a given topic, and complies a report in a snap. You might have heard of Qwiki before, because a few months back Eduardo Saverin, Co-founder of Facebook donated $8 million dollars to Qwiki to help with its development. That being said Qwiki is still in its Alpha phase but it’s free for the public to use and does not require you to download software. I love using Qwiki to help with school projects. That being said don’t always trust Qwiki for absolute information, as it pulls its info from websites like Wikipedia and numerous other sites. Also if there is not enough information for Qwiki to pull the reports often turn out bad. View Otaku and over 3,000,000 other topics on Qwiki. But the program is like I said still in its Alpha and will get better over time. Here is an example of a good Qwiki. View Space Shuttle and over 3,000,000 other topics on Qwiki. So I recently found out about a production company called Asylum, and rightfully so. You may know this company for it’s works of genius like Transformers, Terminator, or Battle: Los Angeles . Oh wait sorry those are good movies… well except for that last one. Asylum is known for classics such as Transmorphers, The Terminators, and Battle of Los Angeles. As you might have already guessed Asylum is actually know for making really bad movies with names almost exactly like big budget productions out at the moment, and make some poor fool think they snagged a early release DVD of ( Insert blockbuster title here). The Asylum has even had 20th Century Fox on their buts with legal action after they released the movie ”The Day the Earth Stopped”. I could go on and on about the horrible things in their movies. I could make a comedy review off of any Asylum film. Heck here is what came to my mind after I watched their trailer for “Titanic II”. So your telling me that in a 100 years we haven’t developed better ice berg tracking technology? And why would someone celebrate the TITANIC? It was a horrible event where thousands of people died, and should not the crew be weary of icebergs with that new thing called karma going around and all? Another example is Asylums film “Battle Of Los Angeles”. Look at the trailer for it then look at what a single non-professorial effects editor can do in one afternoon in the second video. Anyway the point of this post? Read the titles on your DVDs carefully and avoid The Asylum at all costs.